Open data is defined as structured data that is machine-readable, freely shared, used and built on without restrictions. The House of Commons remains committed to expanding access to parliamentary information, including Open Data and related services. Through its open data initiative, the House of Commons has established foundational elements that enable the effective delivery of open data and will do so progressively through a phased approach. The May 2017 deliverable aims to bring awareness to this commitment, centralize existing reusable data into a single page and provide supporting information to better understand the data model. Subsequent phases of the initiative will further expand parliamentary content by adding more data to the existing content and facilitate its consumption and reuse. Members may fulfill any of a variety of roles, from the Speaker and other presiding officers, to the Board of Internal Economy or House officers, to members of the House of Commons standing committees, legislative committees, special committees, standing joint committees, special joint committees, or panel of chairs of legislative committees, to parliamentary secretaries, or members of the Ministry (Cabinet) and parliamentary diplomacy. This data set comprises selected information on individual members of Parliament and their current roles, including name, constituency, province/territory, party, and other roles related to their work in the Chamber/caucus, in committees, or in relation to parliamentary diplomacy. This feed is provided in a standard XML format. Once imported into a spreadsheet or database tool of your choice, the data can be filtered and sorted to create customized reports. Please refer to the instructions within the tool of your choice to find out how to import external data. Members’ roles and committee memberships are varied and range from the Speaker and other presiding officers, to the Board of Internal Economy and House officers, to members of the House of Commons standing committees, legislative committees, special committees, standing joint committees, special joint committees, and the Panel of chairs of legislative committees to parliamentary secretaries, and members of the the Ministry (Cabinet). This data set includes current and historical information on members of Parliament, including data for name, constituency, province/territory, party, and roles related to their work in the Chamber/caucus, in committee, and in relation to parliamentary diplomacy. The Members’ Expenditures Report summarizes the expenditures incurred by members, as well as those related to resources (provided by the House of Commons) required to support members in the discharge of their parliamentary functions. The Members’ Expenditures Report presents year-to-date expenditures by budget and expense category. This data set comprises selected information for current members of Parliament and their expenditures. The House Officers' Expenditures Report summarizes the expenditures incurred by House Officers in the discharge of their parliamentary functions. This data set comprises selected information for House Officers and their expenditures. This feed is provided in a standard CSV format. Once imported into a spreadsheet or database tool of your choice, the data can be filtered and sorted to create customized reports. Refer to the instructions provided with your selected tool to find out how to import external data. STEP 1: Access the Reports and Disclosure page. STEP 2: Scroll down to the House Officers' Expenditures Report section. STEP 3: Select the CSV format of the report to export the data. Canada is divided into 338 electoral districts, each of which sends one member to the House of Commons. An electoral district can be defined as any place or territorial area in Canada entitled to return a person to serve in the House of Commons. The boundaries of an electoral district are determined by an electoral boundaries commission following each decennial (10-year) census when the number of seats to be apportioned among the provinces is decided. These districts or constituencies are grouped by province and territory, and the population serves as the main basis for assigning the seat total to each. This data set comprises selected information for all current members. Parliamentary secretaries are members of the government party who are appointed by the Prime Minister to assist cabinet ministers with their parliamentary duties. Under the direction of their ministers, parliamentary secretaries handle routine matters in the House of Commons, engage in committee work, and assume some extra-parliamentary responsibilities. This data set comprises selected information for current parliamentary secretaries. Party standings are considered official only once the Clerk of the House of Commons receives either the certificate of election from the Chief Electoral Officer or an official communication from an MP. This data set comprises selected information for current party standings. Members of Parliament represent constituencies, often called ridings or electoral districts, from across the country. Constituencies are established by Parliament and are reviewed after each decennial (10-year) census to reflect changes and movements in Canada's population. This data set comprises selected information for all current members of Parliament and their constituencies, includingname, province/territory name, current person short honorific, current person official first name, current person official last name, and current caucus short name. The Speaker and other presiding officers oversee the sittings and proceedings of the House of Commons, maintaining order and decorum in the Chamber. This data set comprises selected information for current Chair occupants. The Cabinet is composed of the Prime Minister, ministers and ministers of state, the Leader of the Government in the House of Commons, and the President of the Treasury Board. This data set comprises selected information for current ministers of the Crown. LEGISinfo provides information on all bills considered by the Senate and the House of Commons since the start of the 37th Parliament in 2001. Note that the titles and numbers of most bills considered by Parliament between 1994 and 2000 are also available along with the bill publication information. This feed provides bills and related information for the current parliament and session. This data set comprises all bills of the current session. There are two main categories of bills: public bills and private bills. While public bills deal with questions of national interest, the purpose of private bills is to grant powers, special rights or exemptions to a person or persons, including corporations. This feed provides complete information for all bills for a specific parliamentary session. This data set comprises selected information for current parliamentary and session bills. It is recommended to use RSS feeds in combination with an RSS reader whether online or locally installed. You are also free to integrate our RSS feeds into your blog or other interfaces; you can access updated House of Commons Open Data content in the way that works best for you. House of Commons RSS feeds are constantly updated as updated content is published. LEGISinfo provides information on all bills considered by the Senate and the House of Commons since the start of the 37th Parliament in 2001. This feed allows for the retrieval of a complete set of information on a specific bill, based on a Document ID. This data set comprises selected information for specific past and present bills. The Legislative Activities feed provides the latest activity for bills moving through the legislative process. This data set comprises selected information for current legislative activities. Legislative Summaries outline government bills, and private members’ bills that have been referred to committee for study, concerning major new initiatives or significant changes to existing legislation. This data set is comprises d of selected information on current legislative summaries. It is recommended to use RSS feeds in combination with an RSS rReader whether online or locally installed. You are also free to integrate our RSS feeds into your blog or other interfaces; you can access updated House of Commons Open Data content in the way that works best for you. The House of Commons RSS feeds are constantly updated as updated content is published. The will of the House is ascertained by means of a vote. Once debate on a motion has concluded, either because no member rises to speak or because of a predetermined deadline, the Speaker puts the question and the House pronounces itself on the motion. A simple majority of the members is required to adopt or defeat a question. This data set comprises selected information for votes on bills and motions for specific parliaments and sessions. 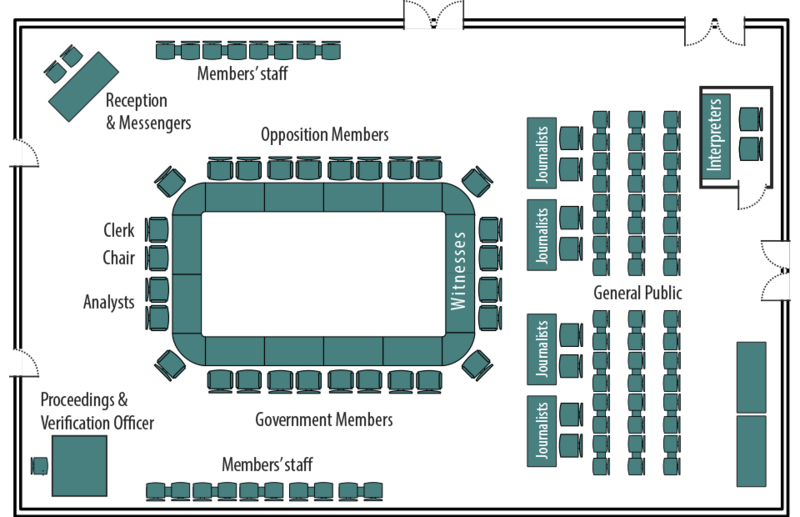 Debates (Hansards) are the transcripts of all member of Parliament interventions in the Chamber. Hansards are typically available the next business day. This data set comprises selected information about the Hansards. As part of the consideration of the matters referred to committees by the House or taken up as part of the general mandate conferred on them, committees seek information and comment from a wide variety of sources. Briefings and background documents are routinely provided by committee research staff and government departments. Committees also devote considerable effort to gathering the views of those knowledgeable about or directly concerned by the issue before them. This may range from a relatively small group of technical experts to the Canadian public at large. This data set comprises selected information about committees’ evidence. The House produces many documents for the use of its members, their staff and the public. These documents enable all interested parties to follow parliamentary business. They also provide a permanent record of debate, decisions made, and information about business due to come before the House and its committees. All House publications are published simultaneously in both official languages and are made available electronically. The indexing of a subject of business is typically done the day after the Hansard has been published (two days after the event). By default, this data set comprises selected information for publications search results for the previous seven days the House was sitting. This feed provides information on all current E-petitions. This data set comprises selected information on ePetition results.